"A woman who originally came to the United States for a marriage arranged by her family stayed after being abandoned at the altar, because of the humiliation she would have faced on her return to China. Later, she met someone else, married and now has a family. But over the years Xiu Mei Wei, pronounced Shoe May Way, has spent contributing to American society, she has failed to do all the immigration paperwork in the right sequence. Now she's facing what many advocates consider the threat of a forced return to China, where she would face a prison sentence and forced sterilization. Lawyers with the New York law offices of John Chang confirmed to WND today they have submitted a petition to reopen the case to the federal Board of Immigration Appeals, the highest administrative body for interpreting and applying immigration laws in the nation. The board itself said it has nationwide jurisdiction to hear appeals from a wide variety of decisions, rulings and situations." Xiu Mei needs the prayers and support of Christians who know the tyranny she faces, should she be deported. Please pray for the millions of women in China who endure forced abortions and that there will be justice for Xiu Mei. 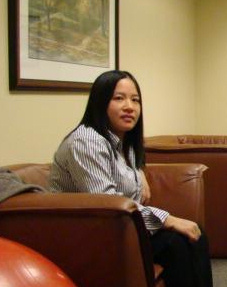 If you would like to help in Xiu Mei's defense, please write her attorney and explain why you believe she should be allowed to stay in the United States of America. Mrs. Wei does not speak English very well, but an interpreter can be provided. If you are interested in her story or have any information about how to help keep Xiu here, please contact Jo Scott. State who you are, give some contact info. 1) Mei has been trying for a almost a decade to become a citizen but because of a mistake her lawyer made she is in danger of being deported. 2) Tell them that Mei is a fine Christian woman who has violated China's one child policy and that she has been supporting the underground church. 3) If she is deported she is subject to forced sterilization, her children cannot be educated or employed until after exorbitant fines are paid but she will be imprisoned for being a Christian and supporting the underground church. Finally, pray that the leaders in China will repent of their evil policy denying siblings and that they will learn about the God given, inalienable right to life of every baby.